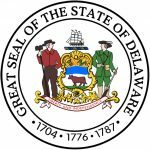 The Delaware Unsecured Promissory Note Template is a type of written agreement that is used to detail the terms of a loan. In contrast to “secured” notes, unsecured notes are not backed by collateral (of the borrower). 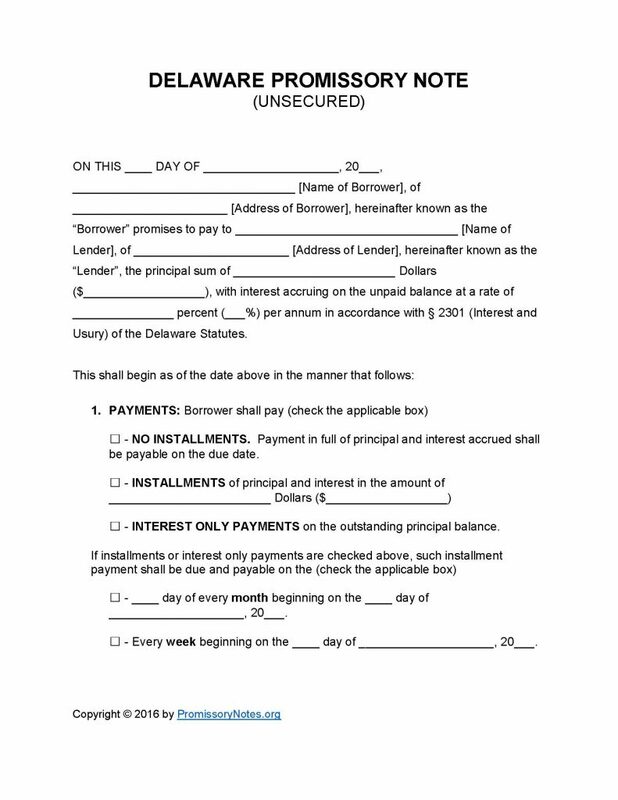 Unsecured notes are most often used for borrowers who are deemed “low risk” (in that they have either excellent credit or a high level income/net worth). Step 1 – Download the template (available in .PDF or Word format). Select the payment schedule (weekly or monthly). Enter the payment due date and amount. Fill in the due date of the full balance. Enter the interest rate that will be applied should the borrower default on the loan. Fill in the number of days that the borrower will have to make a payment (after the initial due date) before any late fees may be applied. Enter the late fee amount. If the borrower defaults on the loan they will X amount of days to cure the default. Fill in the number of days. Step 9 – Review the remaining subsections. Date the note in the provided format. Submit the signatures of the lender/borrower. Submit the printed names of the lender/borrower. Enter the printed/signed names of the witnesses.